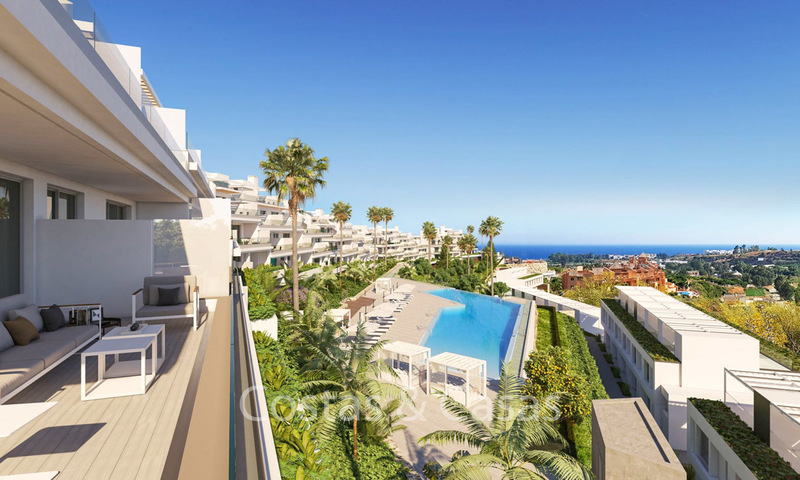 Ideally located on the Golden Mile that connects Marbella centre with Puerto Banus. 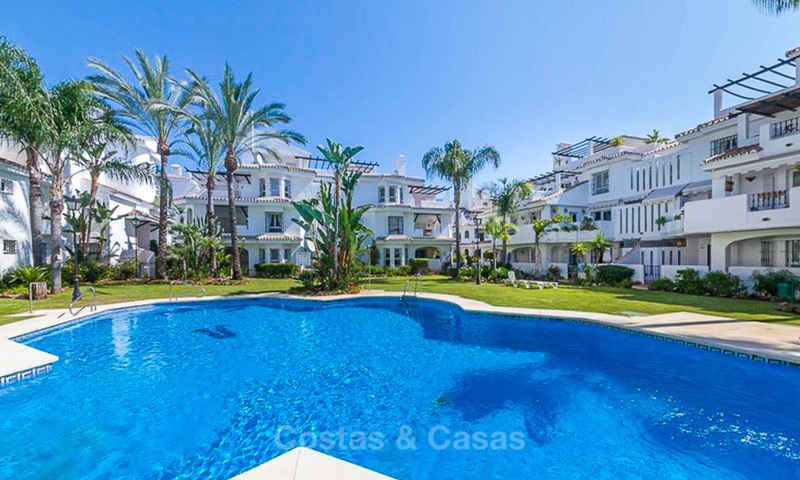 A well maintained gated complex of townhouses with 24 hours security and picturesque communal gardens and 2 swimming pools. South – Southwest to enjoy the sun all day long. Garden and sea views from the top floor. Enclosed individual private plots to enjoy the privacy and the extra space. Separate 2 bed/1bath guest apartment made in the basement with a separate entrance to make it more independent. Living-dining room with fireplace and direct exit to private terrace. Fully fitted and equipped kitchen with all the appliances and breakfast area. 5 bedrooms and 3 bathrooms, of which 1 is en-suite. Main bedroom with bath en-suite and direct exit to upstairs terrace. Parking space allocated outside for 1 car.